Not every website operator is a good graphic designer at the same time. Does that mean that they are forced to forgo illustrations and images? No, it doesn’t. Nowadays there is excellent software to solve these problems. There are also other options besides Photoshop. Eight of these programs have been presented by my colleague Andreas Hecht already. 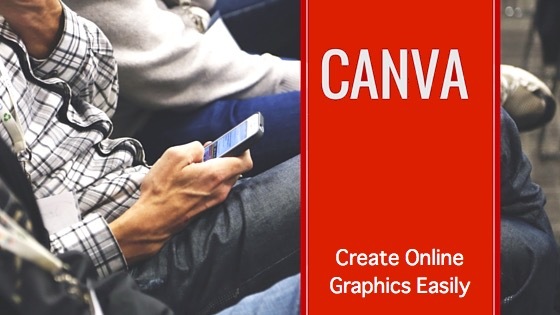 Today, I would like to introduce you to Canva, a popular and often recommended online tool. So, what is this all about? Where are Web Graphics Needed? Featured images have been common courtesy for a long time already. This article, for example, is opened by one. Websites without such images may look dusty and outdated. What you see in this article has been made using Canva. It only took two minutes. This type of graphics is also common in social media. The blue depths of Facebook are just one example. They also appear on Twitter, Pinterest, and many others. If you can’t keep up with that, you will be harder to find – unless you get yourself some help. 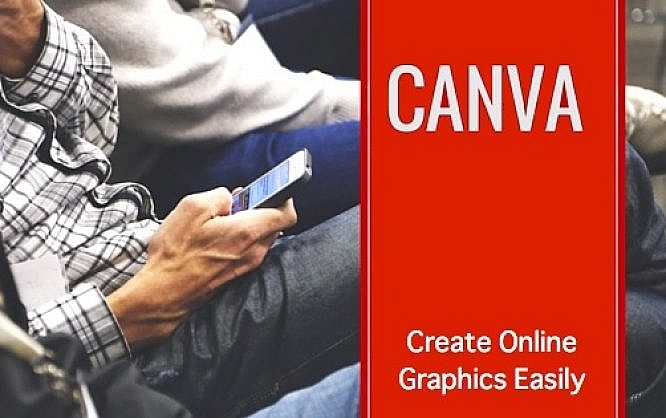 Canva is a pure online tool and it only requires a login. You can either create an account or log in via Facebook or Google+. Downloads are not necessary. At first, no payment is needed either, but I will give more information on that later. If you are interested in using Canva on a mobile device, there is also an App for the iPad. 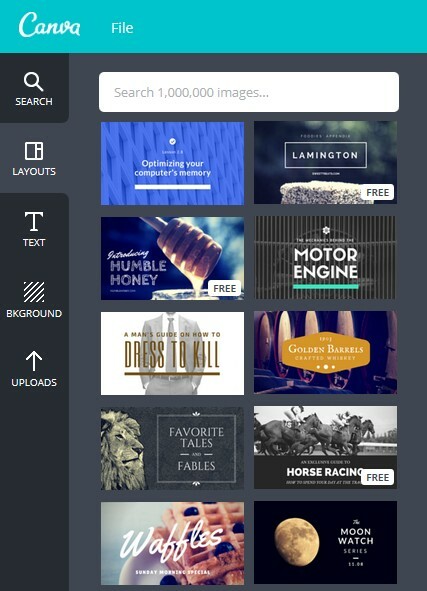 Canva claims to provide millions of free images. While that may be true, you won’t find that many layouts. There are only a few layouts, and some of them have to be purchased first, costing one dollar per image. This can be rather aggravating when choosing an image. However, it is possible to freely upload images or dig through Canva’s image library. Of course, Noupe knows where to get the best free pictures. It is possible to create a layout on your own, as there are enough examples. Canva is developed in Australia and thus, currently, only available in English. Canva uses Google Fonts, which is helpful for those who are familiar with them already, and because it offers a large variety of fonts. 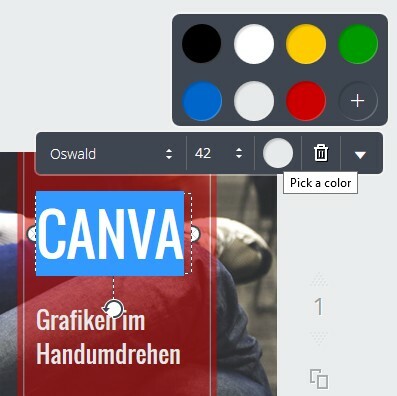 Noupe uses the font “Oswald” for its images, which can also be found in Canva. There are filters for the pictures, and the size of boxes can be adjusted using the cursor. All templates can be edited, which means that almost every aspect can be customized. Of course, this includes colors, backgrounds and transparency. Elements snap in at guiding grids, so that accurate vision is not a necessity. Unfortunately, the JPGs created with Canva can not (or insufficiently) be compressed, which means that changes might have to be made before publishing your image on the website. There are enough tools for that. If the picture is to be used on Twitter and others, however, this can be ignored as these services compress the image on their own. Canva is free as long as you don’t use their stock-photos. These cost one Dollar per piece. There is a Business Account that offers special deals for companies. 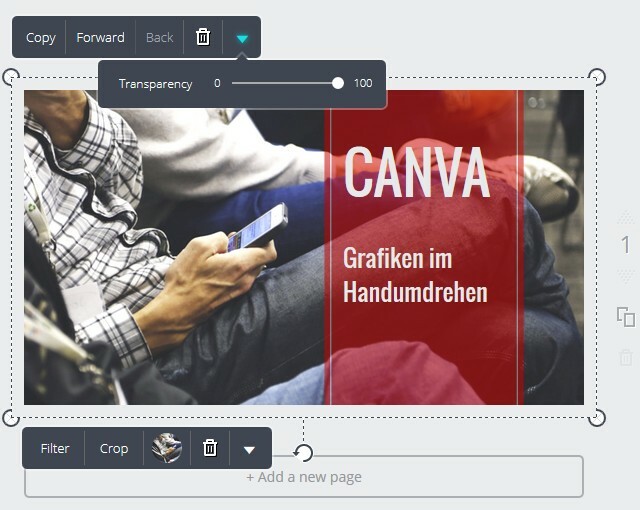 It’s called Canva for Work and costs 9,95 USD per month. It allows the user to save personal templates and to resize layouts quickly. This makes supplying multiple sites with images a lot easier. Canva is not an all-round tool and is restricted to a small set of functions and options, which is why it is so easy to use. Canva is good at what it does and easy to get used to. If you’re looking for a few ideas, you should visit the Canva Design School. Graphics are a pain to come by these days. This should be very helpful. Thanks! Looks like Canva is making the Graphic Designer (almost) obsolete. I am using Canva and I must say it’s a very helpful apps or rather website because it makes online graphics an easy task for me to do. 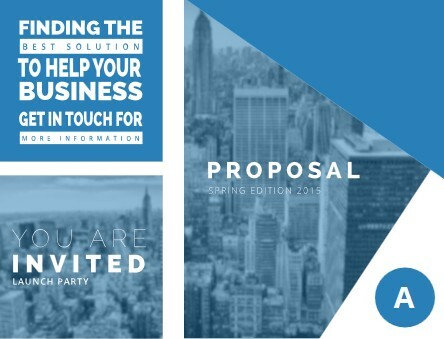 There are lot of things you can do not just a simple image creation but really it gives a really amazing design for posters, business cards, invitations and other presentations that needed creative output. Everyone must try this and you will surely enjoy having it as part of your marketing tools.